Sometimes, it can be hard to know if your teeth are in danger. Whether they hurt or not, decay has a way of creeping up on people’s teeth. If you have tooth decay, you probably need a filling to prevent it from getting worse. Luckily, all of our locations offer white, mercury-free dental fillings that match your natural teeth. 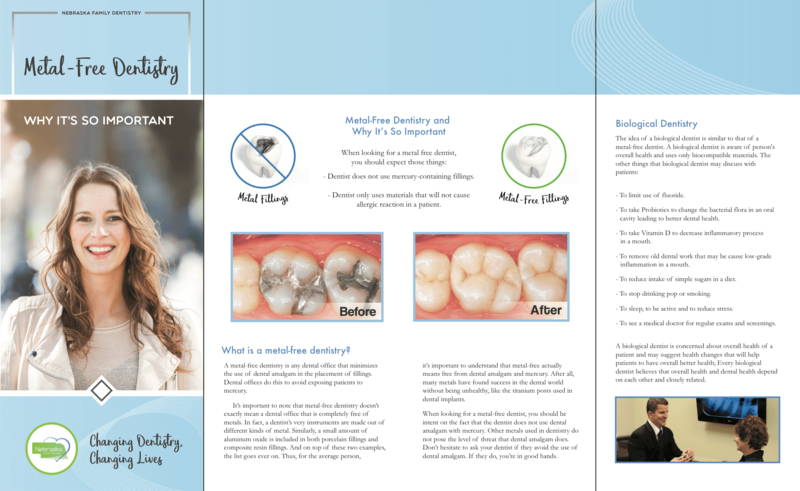 Continue reading to learn more about our fillings and to find out how to prevent further decay. When your teeth develop tooth decay, they become more and more damaged over time. 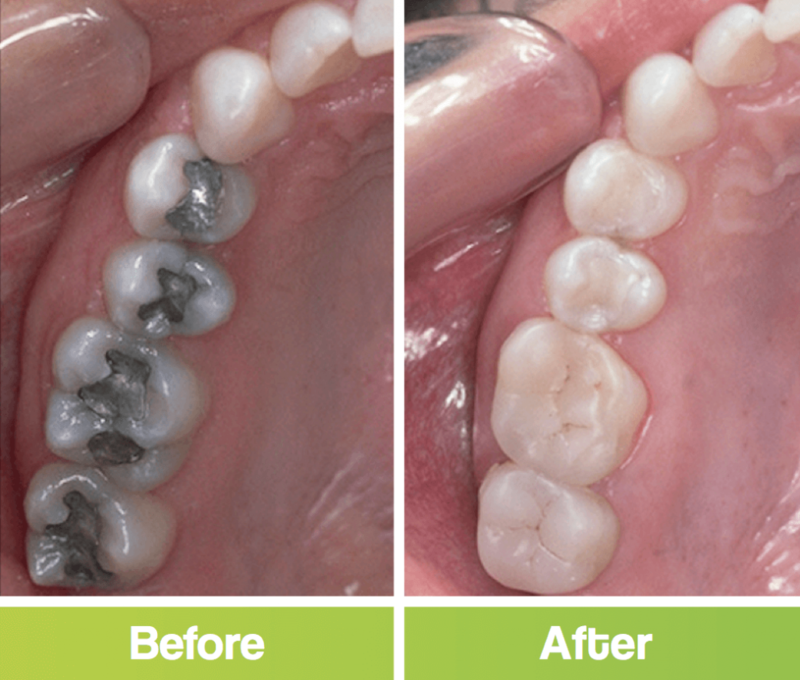 Fillings stop the growth of decay and prevent dental infection. In the past, dentists used only metal, amalgam fillings. 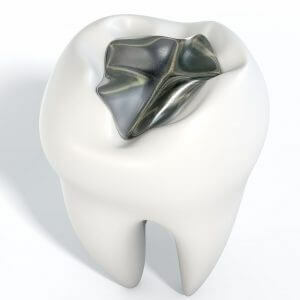 Recent research has discovered that amalgam fillings are dangerous due to the presence of mercury. Not to mention, they tend to expand and fracture, crack, or break peoples’ teeth. Today, the development of tooth-colored fillings have made amalgam fillings nearly obsolete. 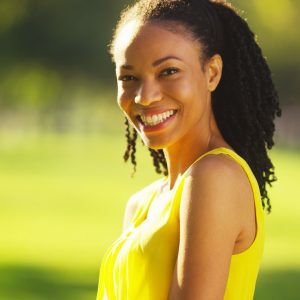 Sometimes referred to as metal-free fillings or mercury-free fillings, today’s fillings have become a cosmetic solution as much as a decay solution. At Nebraska Family Dentistry, we only use metal-free fillings to stop tooth decay. Thus, your teeth will appear completely natural and will be safe from the harm that amalgam fillings bring. Composite Fillings – Composite fillings are tooth-colored and are made of resin, so they blend right in with your existing teeth. 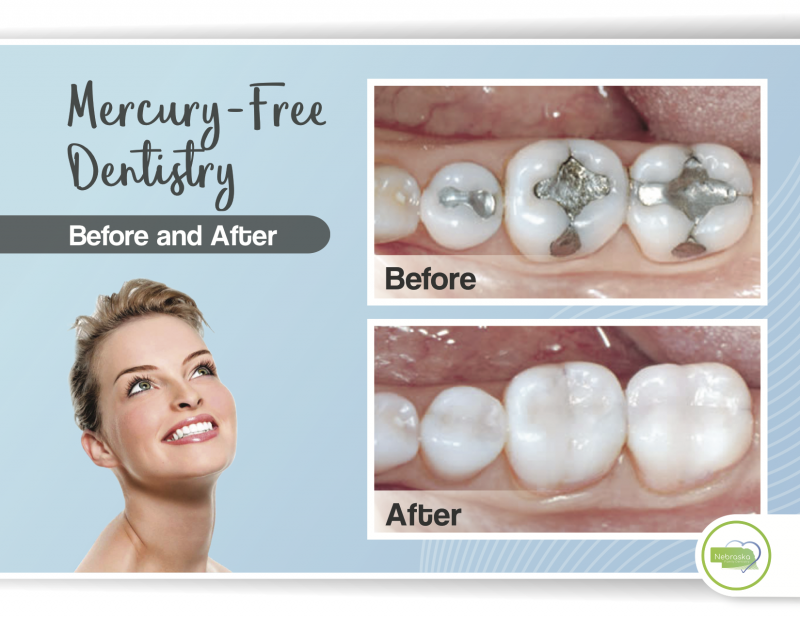 They are the most commonly used metal-free and mercury-free dental fillings. Glass Ionomers – These fillings are used in rare instances to stop the spread of decay beneath the gumline. They are also used on occasion in small children. Glass ionomers are metal-free and mercury-free dental fillings. Dentists used metal or amalgam fillings frequently before dental experts fully understood their dangers. 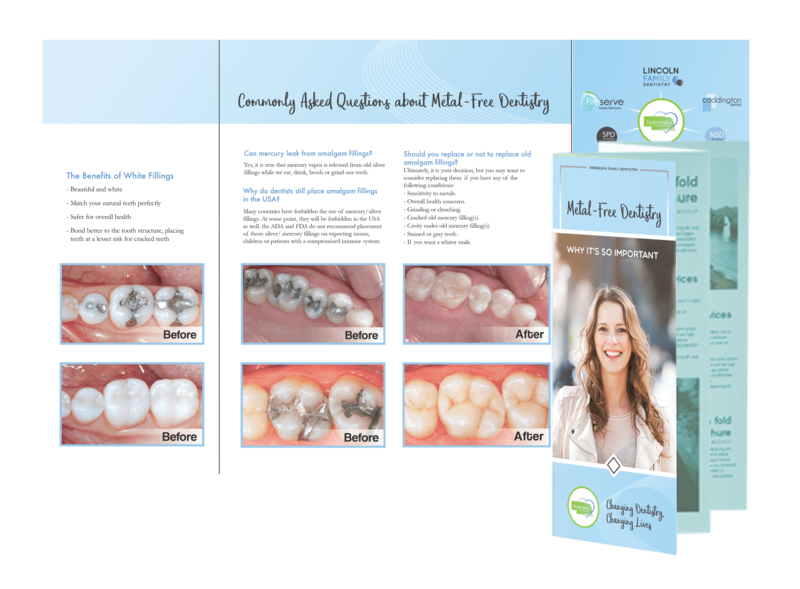 Throughout the world, amalgam fillings are still widely used, although dental experts are encouraging those dentists who still use amalgam fillings, to stop. Some patients elect to have their metal fillings removed and replaced. The risks of amalgam fillings are vast and significantly outweigh their benefits. 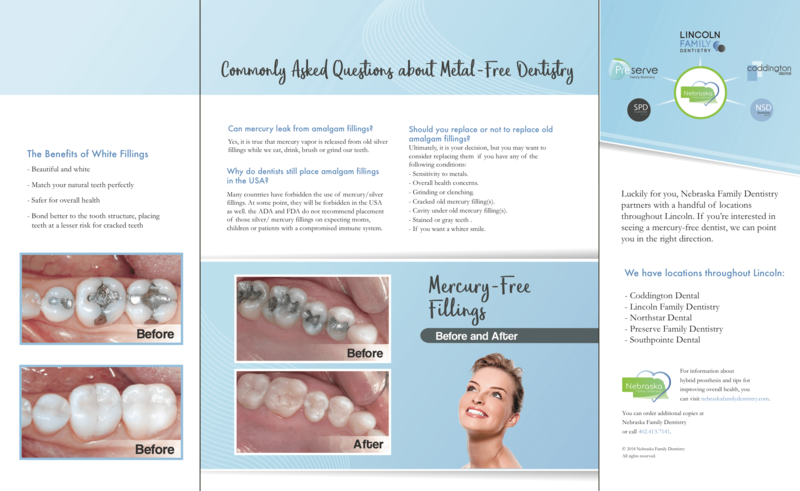 Mercury-Related Health Problems – The presence of mercury in amalgam fillings has been linked to a multitude of different kinds of health problems. Expansion of Metal – Metal tends to expand and contract with heat and pressure. When it comes to metal fillings, this expansion and contraction can cause cracks and breaks in a person’s teeth. Requires Greater Amount of Tooth Removal – When dentists use amalgam fillings, they must remove significantly more tooth structure versus using composite fillings. Metal as a Conductor of Heat – Metal conducts heat better than composite material, so teeth with metal fillings will often become very sensitive to hot and cold. 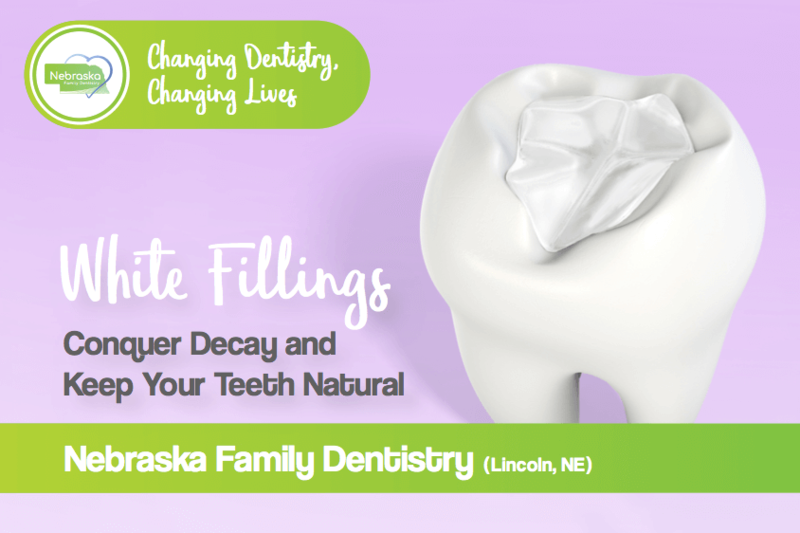 At Nebraska Family Dentistry, we only use white dental fillings, or composite fillings, to fix cavities. All of our locations use only the safest, most durable materials to fill teeth. This ensures the good health of our patients and dentists. Teeth-Strengthening – White dental fillings don’t expand or contract like amalgam fillings. Instead, white dental fillings remain in place and strengthen your teeth. 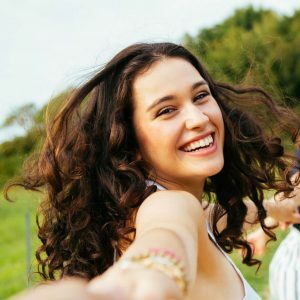 Natural Appearance – White mercury-free dental fillings match the shade of your other teeth, so they’re almost unnoticeable. They look completely natural and blend right in, creating a seamless look. Less Pain, Sensitivity – White, mercury-free dental fillings tend to be less painful than metal fillings, after being placed . Also, they usually don’t cause any extra sensitivity to your teeth. 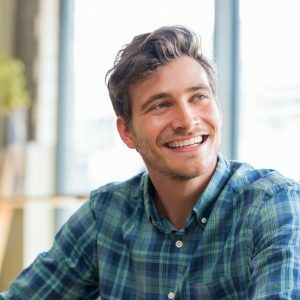 Like any other dental procedure, the cost of white mercury-free dental fillings can span a wide range. Prices vary significantly depending upon a wide variety of factors since every patient’s mouth is different. The best way to know how much a filling will cost is to set up a free consultation at any of our locations. Then, our dentists can examine your teeth and give you a cost estimate based on your specific needs. Most dental insurance plans will offer coverage or payment for the placement of metal-free fillings, depending upon their frequency. In general, those with dental insurance can increase the likelihood of coverage by taking excellent care of their teeth. If you’re concerned about being covered by your insurance or you don’t have insurance at all, we offer a handful of convenient payment options. We value making dental care affordable, so you can get the treatment you need. 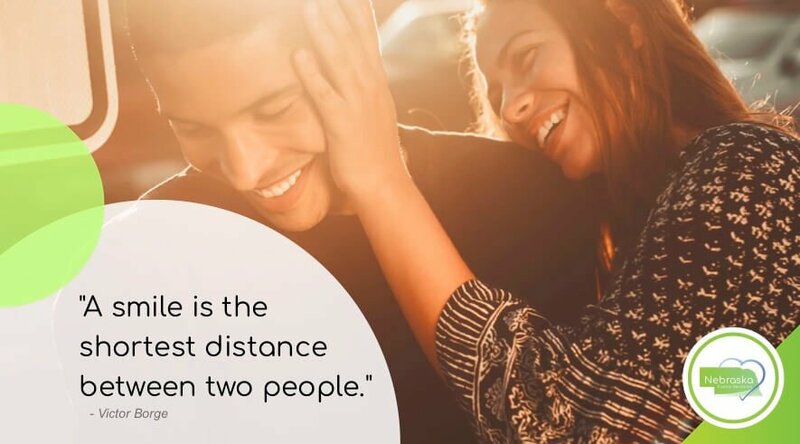 For most without insurance, we recommend our partners at Lincoln Dental Plans. 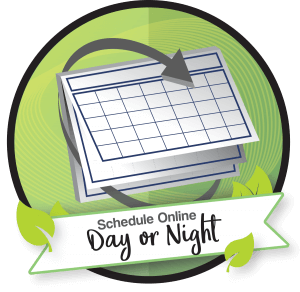 Because of their dental discount plans, we’re able to offer affordable dental treatment. Give us a call or check out their website for more information.